Our world-class customer service is happy to help you book your needs. Naperville exterior house cleaning service has never been easier to get. For all of your exterior house cleaning service needs, put our trusted, friendly team at Shack Shine to work for you. 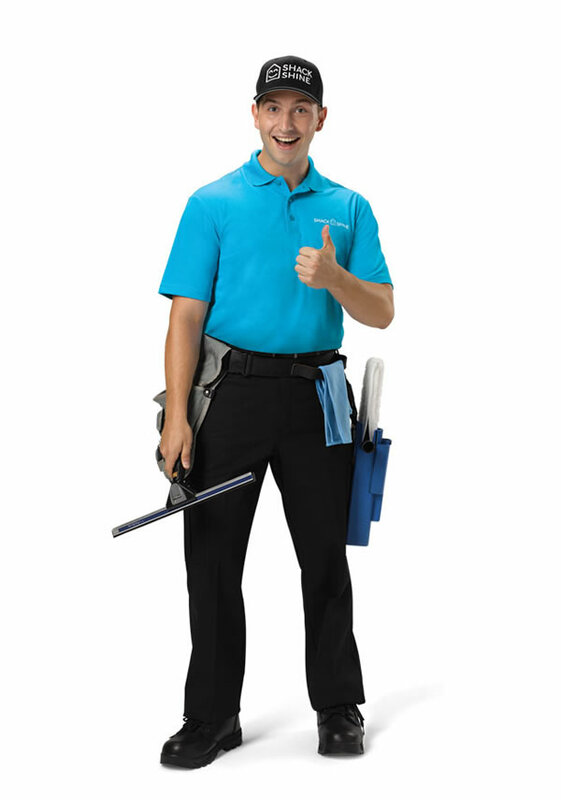 Our technicians are well-trained and experienced. Our friendly uniformed technicians arrive in shiny, organized vans to provide a single detailed visit. Shack Shine customers are busy. That’s why we make it our job to ensure that your home looks fantastic for you. Your home will love you. Our house detailing in Naperville is exceptional and designed just for you. Keeping your windows clean is essential, but it is hard work, too. Shack Shine technicians use squeegees to clean the windows to a shine. We handle both indoor and exterior windows as well as those hard, out of the way windows you can’t reach. No ladders needed. Shining home, smiling family. Your windows are the best place to start. Cleaning the gutters on your home is essential for keeping the structure safe from damage. Our team uses tried and true methods to remove debris and muck from within the gutters. This type of house detailing in Naperville is simply the best. We’ll wipe down the exterior and leave your gutters looking their best. That means your home’s foundation remains protected. You’re busy. You don’t have the time to scrub down the exterior of your home to create the shiny, beautiful space you want. That’s okay. Shack Shine’s house detailing in Naperville includes house washing. We’ll cleanse the exterior surface, creating a like new look for your home. You’ll love how much cleaner and like-new your home looks. You may be able to extend the lifespan of your roof with roof cleaning services from Shack Shine. Our team arrives, cleanses away all of the mildew and dirt. This helps to make the roof look like new, but it also ensures that your roof is safe and protected. Keep in mind that we use safe methods for cleaning every surface of your home. We don’t need to use harsh chemicals. Shack Shine’s exterior house cleaning service in Naperville is safe for any surface. Let’s not forget your driveway, sidewalk, patio, and porch. We do it all. House detailing is happiness in every detail. We’ll strip away all of the grime and built-up material on your home. It will look and feel brand new. Most importantly, our home detailer in Naperville is committed to your complete satisfaction. We’ll take before and after photos to help you to see just how much work we’ve done for you. A home so bright you gotta wear shades – that’s what we are all about for your complete satisfaction. Be ready to have the brightest home on the block this holiday season. Shack Shine Naperville location offers a Christmas light installation service, making it easier for you to get ready for the holidays. We offer high-quality commercial grade Christmas lights that are energy efficient for your house. Everything is 100% customizable from the style to how it fits your roofline. To make it even more convenient for you, we’ll return to fix burnt out lights and do the takedown at the end of the season. Let us help you get into the holiday spirit and do the hard work for you, so you can sit back and enjoy once it is finished! We are happy to help you get started with the holiday decorations. Welcome to Shack Shine my neighbors in the western suburbs. It’s with great excitement and pride that I’ll be providing home detailing to our community in one worry-free, detailed visit. My name is Billy Sawisch and I have lived in the Chicago area all my life. I currently, reside with my wife and 3 sons in Naperville. 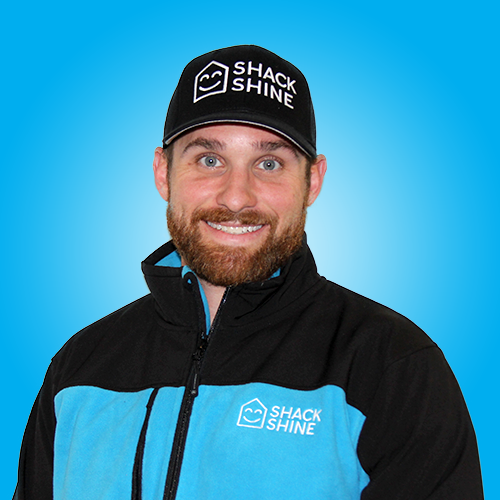 Before Shack Shine, I was in the financial industry for 12 years, and while I enjoyed the competitiveness and excitement I was ready for a change and wanted to be a part of something bigger than I could take pride in. I look forward to building relationships in the community, as well providing an opportunity for others through employment to learn and grow.